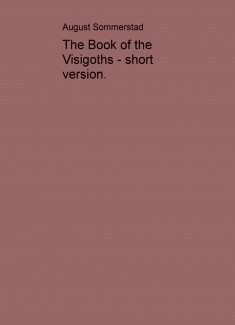 The Book of the Visigoths - short version. This is a Political, Religious-Philosophical, Ethical-Mystical teaching. It is a Anarchistic Bible interpretation. It is Christian culture-radicalism on the premises of society. A anti-rasist Nietzsche. It is Spirituality, social rights, and celebration of life. It uses the four liberations in European and Western culture: 1. Realizing reality. 2. Controlling your thoughts and emotions. 3. Contact with the Holy. 4. Changing the social and political foundations of society.